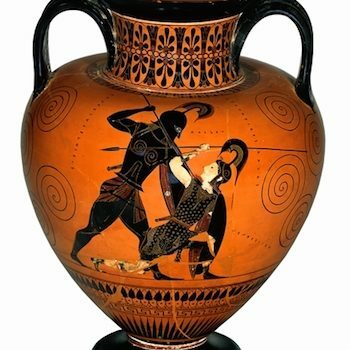 Ancient Greek art, with its love of the human body, is perhaps the most influential art ever made. 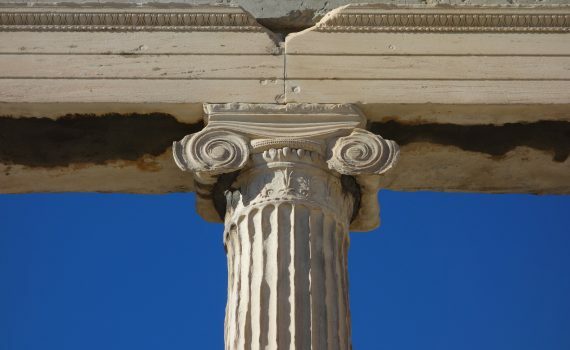 The ancient Greeks were united by a shared language, religion, and culture. Pots and their painted decoration can be studied to answer questions about religion, daily life, and society. This period is known for its large-scale marble sculptures of male youth (kouroi) and female youth (korai). c. 480 - 448 B.C.E. This was a period of transition when sculpture retained the stiff features of Archaic work while also integrating increasingly naturalistic forms. c. 450 - 400 B.C.E. Artists in the classical period (such as Polykleitos and Phidias) created the first truly naturalistic images of human beings in Western art — and as a result, this period has long been held up as the pinnacle of Western culture. 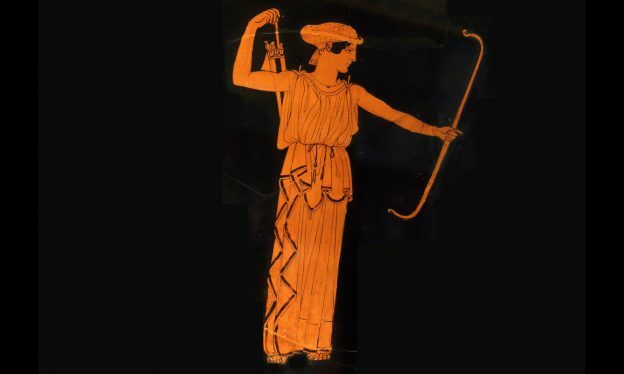 c. 400 - 323 B.C.E. Sculpture of the Late Classical period is known for its longer proportions—and the first female nudes in ancient Greek art. Following the death of Alexander the Great, Greek influence stretched as far east as modern India. While some artists intentionally mimicked the Classical style of the previous period, other artists were more interested in capturing motion and emotion. Ancient Greece can feel strangely familiar. From the classical forms of the Parthenon to the treatises of Plato and Aristotle, ancient Greek culture has shaped our world.